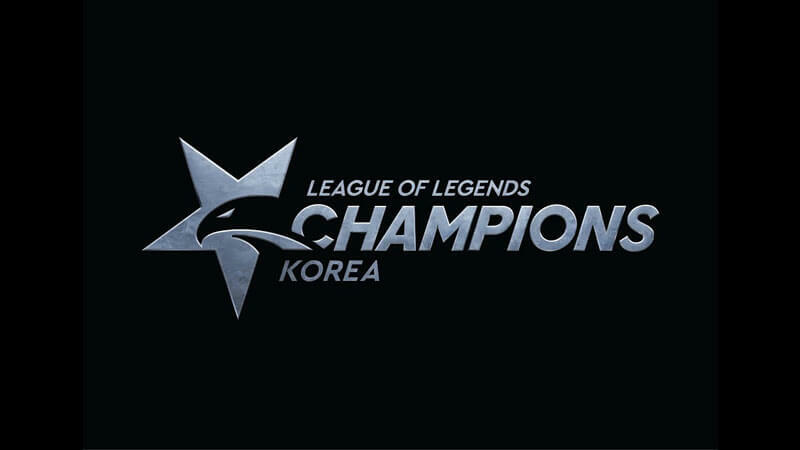 The League Champions Korea has been the most prestigious tournament in all of League Of Legends since its inception. Home of the LoL World Champions for the past five years running, the bar for success in Korea is at an all-time high as different dynasties jostle for circuit points as they fight for World Championship spots each year. Before the LCK, champions in Korea were decided in the OGN Champions series as the top sixteen seeded Korean teams fought in a four group round robin to decide the quarter finals bracket in the second half of the season. After the group stage, every top two team faced off in the playoffs and every series was decided in a Bo5 setting. The winner of the grand finals would accumulate circuit points that would decide their fate at the end of the year as top teams placed through points for the World Championship. In 2016, Korea adapted some changes that fit in line with their LCS counterparts in the West as the LCK was created. In this new league format, every team in the tournament would eventually face each other as all 10 rosters got acquainted with one another over the course of the season. Each split in Spring and Summer, the best Korean teams and talent faced off for the grand prize of $325,000 at the end of every split, on their way to a hopeful World Championship appearance. While the format was similar to LCS, the way the games are played differ from Europe and North America. Every series played between teams is a best of three series instead of a best of one. This staggering of games enables much more substitute control amongst teams as stacked rosters like SKT, Samsung and kT all used their strength in numbers to take their opponents off balance. At the end of the nine week season, the top five teams play in a gauntlet style playoff bracket that sees the #1 seed already placed in the Finals, as #5 seed has to play through three rounds of opponents to make their way up the ladder. While some fans would prefer the bracket style playoffs of the LCS with only a first round bye, the 1st place pay off for the top teams in Korea is undoubtedly a position of grandeur. As the top team of the region, guaranteed placement in the Finals is priceless on its own, and being able to watch your opponents face off in each round becomes valuable intel as your opponents are forced to show their strategies with each game. With such a high level of importance put on being first, Korea has seen more than a few super teams start to develop as the level of talent increases each year. Many teams believed that 2015 would be the end of dominance for Korea as a vast amount of their best players looked for greener pastures and nicer paychecks in China, North America and Europe. Instead of taking a back seat, LCK once again became the frontrunner for excellency in players and coaching within the scene as a slew of new talent was developed, and Championships were raised. 2016 became the year of the dynasty in Korea as mega rivals SKT and kT Rolster seemed at the peak of their abilities. Looming over their heads was the eventual first place roster of ROX Tigers as an unlikely pairing of above average players rocketed them into LCK fame as one of the most dominant rosters ever assembled. The dynamic trio made lots of noise throughout the season but the biggest surprise was Samsung Galaxy as they snuck their way into the World Championships that year through the gauntlet, upsetting kT Rolster en route to victory. This rebirth of Samsung Galaxy was considered unthinkable after their past greatness as Samsung White and Blue in 2014. But a team of aspiring young talent anchored by Ambition in the jungle became the core of their success in 2016, and the continuation of their efforts was awarded the following year at the 2017 World Championship Finals as they beat their archrivals SK Telecom in a dominant 3-0 sweep. This year in the LCK has been a year of new beginnings and familiar stories for certain rosters at the top of the table. The former ROX Dynasty of 2016 is practically alive and well as Peanut reunited with his former bot lane of Pray and GorillA at KING-ZONE DragonX (formerly Longzhu Gaming) with a few new names added to the mix. It is no secret that KZ are the favorites to win Summer Split in LCK as well as the World Championships later in the year. With a dominant 16-2 record in Spring, KZ has the most dominant roster in the league as Khan, BDD and Peanut have given KZ a fearsome top side of the map. The synergy between Pray and GorillA in the bot lane cannot be understated either. Every player in their role has exceeded expectations and the results are only emboldening their success. If there’s any team considered to be a ‘safe bet’ in Korea, it’s definitely KZ. Around the table, SKT, KSV (formerly Samsung Galaxy), Afreeca Freecs and kT Rolster are all heading back to the drawing boards as they try to derail the unstoppable force that is KING-ZONE DragonX. The new look super team of kT Rolster has shown signs of brilliance, but their shortcomings come playoff time are well documented as Smeb, Score and Deft have all faced serious adversity in the past two years. LCK 2018: Changing of the guard? KSV has made history as the first World Championship winning roster to keep all their players for a consecutive year. The show of faith in their players hasn’t come without its troubles as KSV suffered growing pains in 2018. The star-studded roster of last year has lost a step since raising their trophy in 2017, uncharacteristic mistakes from Ambition and CuVee have cost their teams in laning phase. The most notable dip in form is undoubtedly with Crown as his play with KSV has been less than optimal. Before his breaking out onto the scene in 2016, Crown was regarded as an unremarkable player that needed work with his limited champion pool. The nerfs in mid lane have been significant for his best champions such as Viktor and Taliyah this past year, and the problems he’s having against top teams has been evident with each series. SK Telecom suffered similar setbacks this season as the most winningest team in LoL history entered a rebuilding phase. Even in a rebuild with a focus centered on youth development rather than big name acquisitions, SKT found their way into the playoffs as they scraped to a 9-9 record at the end of the season, even upsetting KSV in the first round of the gauntlet. While the end result have have been “nice” for a struggling team, SKT has only ever known excellence at the regional level and there is no doubt they will return stronger for the Summer. Their first time not competing at the Mid Season Invitational will be spent growing their synergy as a team that once held the highest title in League of Legends on more than one occasion. If Faker is on your team, there is always a chance to succeed, and SKT (SK Telecom T1) will be looking to do just that and continue their streak of qualifying for the World Championship. Standing in their way of that dream is none other than Afreeca Freecs as their gradual rise to the top was stopped short at the Spring Finals this past month. Afreeca have improved exponentially without their brightest star from the 2017 lineup. In the absence of their biggest carry Marin, mid laner Kuro, jungler Mowgli, and Kramer have all excelled in their specific roles as Afreeca remain one of the most consistent teams in the LCK. Their high finish in Spring will be a great starting point for a hopeful first appearance at the World Championships in Korea this year. At the highest level, LoL is a game won off of team effort and drive, and Afreeca possess all the tools needed to succeed with a humble group of players only focused on winning.